To be honest, I didn't carry out any extensive testing or searching for bugs, and I didn't especially care about the issue with creating playlists that was and is still the bane of a large group of users. I create playlists extremely rarely; I used to save entire albums as playlists in Spotify before they enabled saving them as they were - albums. For the last three months I have been using Apple Music the same way I usually use streaming services - browsing and listening to entire albums and playlists served up by the service. I wanted this three months to be a musical journey in which Apple Music was the only a vehicle, a cabriolet in which I would speed on the freeway of sounds. Sadly, the freeway turned out to be a rather bumpy road full of holes, and even the car turned out to be in rather poor condition. Nevertheless, this three-month journey was an interesting musical adventure. First of all, Apple Music - despite undoubted advantage which is the full integration with iOS via Music app and OS X via iTunes - is losing against Spotify in terms of its musical offerings. I know it is a rather subjective matter, and a lot depends on one's musical preferences, but in my case I can definitely find more music that interests me on Spotify than on Apple Music. It’s not the case of searching for some unknown bands and performers of the music genres I like (prog-rock, metal, soundtracks and smooth jazz), but for a few well-known bands like Rammstein. In Spotify, I can find the band’s complete discography, while in Apple Music there is only one album available - the latest, Liebe ist für Alle Da. The latest album of popular thrash metal band Slayer was initially available in full only on Spotify. On Apple Music, I could find just a few songs and the rest was blanked. This isn’t the only annoying flaw. Several times I have discovered that Apple Music treats two bands with the same name, but of completely different genres, as one. Browsing the discography of a heavy metal band named Fate I found a rap music album from a band with the same name. I have mentioned the problem with creating playlists that many users complain about. There are, in fact, other complexities of the interfaces that I found irritating. One of them is the complete lack of clear designation of what is stored on my iPhone or iPad, and what is stored on my iCloud music folder. Yes, I can hide what is in the cloud, but this is a far from perfect solution. It annoys me no end, because it is not rocket science to mark songs or albums that are downloaded and stored within the device. Spotify does that in a very simple and smooth way - there is offline switch in a album or playlist view, as well as a small downward-pointing green arrow icon that marks downloaded albums, playlists and songs. After one of the last updates of iTunes for OS X, all of my songs stored in iCloud or the ones I added to My Music on my iPhone disappeared completely on my Mac. Oddly, they still are available on my iPhone and iPad. Logging out and back in doesn't help. On my Macs with the latest iTunes app, I have access only to music that I bought in the past on iTunes (including the last year's gift from Apple - U2's Songs of innocence) or I that I have ripped from my personal CDs in the past. The iOS Music app is also far from perfect. After upgrading my iPhone and iPad to iOS 9 it stopped showing me the content of playlists provided in the For You view. I can’t view artist profiles anymore - they went just as blank as the playlists. On the other hand, Spotify works with iOS 9 just fine. 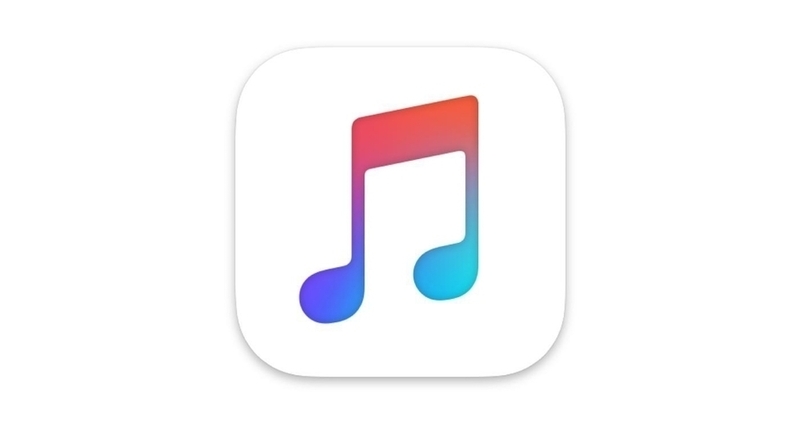 I can't help myself thinking of the three-month period of free access to Apple Music as beta testing the app for Apple. Even worse, I will have to pay if I want to continue my participation in these tests. Apple Music is far behind Spotify both in terms of reliability and user experience. I realize that my decision doesn’t concern making a choice between Apple Music and Spotify, but rather whether I am going to pay additional money for Apple Music while sticking with Spotify. Why would I do that? Apple Music offers something that I can not find in Spotify and probably in any other streaming music services available here in Poland — human-curated playlists. The selection of both albums and performers is usually perfect. To be honest, listening to the playlists that are prepared to suit my musical preferences is a great experience. In fact, while listening to many rock and metal playlists — especially those ones with music from the 1990s or late 1980s — I experienced a kind of time-travel. I felt like I was watching Headbangers Ball on MTV, a popular metal music program of that time. Almost every playlist - or perhaps it is better to call them compilations - provided by Apple Music suits me perfectly. Another great Apple Music feature is Connect, which is a music social network where artists can communicate with fans. I would say that it’s a similar experience to following bands and artist profiles on Facebook. As on Facebook, I can like and comment on their activity - videos, songs or photos. However, I don't like to follow bands and artists on Facebook. Since I am not much of a "social network person", I prefer just to stay in touch with a few people I know on Facebook and I don't follow public figures, bands, etc… I found Connect a perfect place to follow bands. What you can find in Connect depends on your own musical tastes and of course the artists themselves. Fortunately, many of the bands and performers I follow are very active on a daily basis. Every day I find their archival photographs from concerts (eg. Dream Theater on stage at the biggest Polish open air and admission-free festival, Bus Stop Woodstock), and artwork for new album covers — “album covers” being a term I find to be very archaic. The most active band on Connect among all of those that I follow is Pearl Jam. In my opinion, the curated playlists and Connect are the huge advantages of Apple Music that I am willing to pay extra money for. I will therefore end up paying for both Spotify and Apple Music, although I have no hope that the quality and reliability of the latter service will be significantly improved in the near future. Apple has always had a problem with its own internet services.